At a recent 10 Downing Street reception, key supporters of Speakers for Schools were thanked for their continuing hard work and voluntary dedication, and attendees were encouraged to provide work experience through the new work experience programme ‘Speakers for Schools: Next Generation’ (S4SNextGen.org) launched at the reception. 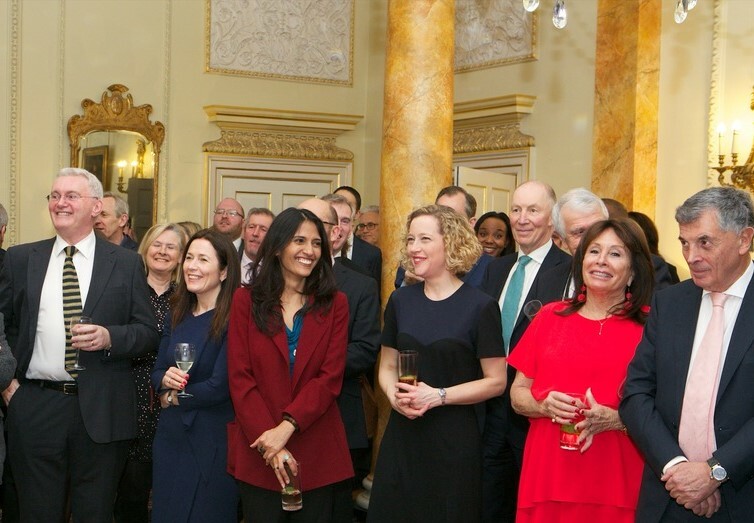 Robert Peston, Speakers for Schools Founder (and ITV Political Editor), and Andrew Law, Chairman of the Board of Trustees (and Chairman and CEO of Caxton Associates) hosted the celebratory reception on March 13th, 2018. Lord Agnew, Parliamentary Under Secretary of State for the School System, and Ashley Hodges, Executive Director Speakers for Schools, also spoke at the event. Julia Muir, a volunteer speaker for Speaker for Schools, CEO of Gaia Innovation, and Founder of the UK Automotive 30% Club was among the guests. The UK Automotive 30% Club’s goal is for women to be in 30% of key leadership positions by 2030. In May 2017, supported by Speakers for Schools, it successfully launched the 30/30/30 campaign, which involved 30 of the UK’s top automotive executives committing to give their time in 30 state schools to inspire women to become future leaders in their industry. Since the launch of the 30/30/30 campaign, the number of Automotive 30% Club members volunteering as Speakers for Schools’ speakers has doubled, with 55 MDs, CEOs and other senior executives now participating. UK Automotive 30% Club members Trust Ford, Inchcape and ASE Global were among the first companies to participate in the Next Generation programme. Julia founded Gaia Innovation as a non-profit Social Enterprise that builds positive relationships between employers, education and academia to inspire and inform young people to equip themselves with the skills necessary for the future. She added: “Schools participating in the Gaia Innovation Inspiration for Innovation programme also register for Speakers for Schools as one of the first steps in their action plans. Other reception guests included Cathy Newman (Channel 4 news), CeCe Sammy (vocal coach), Danny Jones (pop band McFly), Toby Jones (actor), Christine Hodgson (Chairman of Capgemini, and the Careers and Enterprise Company), and Tim Maccabee (MD of Ducati UK, and UK Automotive 30% Club member), who gives a speech for S4S every term. S4S is the UK’s committed network of leading figures who want to give back to young people in state schools. 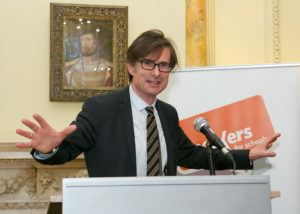 Founded by journalist Robert Peston, the free school talks help share unique insights, spark inspiration and create exciting conversations for students with big questions for individuals who have come to be a leader in their field or industry. The programme is open to all state secondary schools.